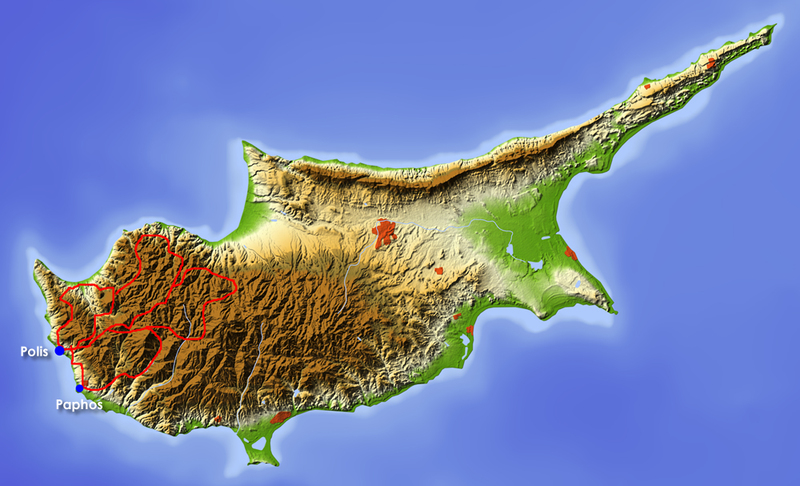 Cyprus takes up a unique position in the Mediterranean with Turkey in the north, Syria in the east and Egypt in the south. And because of its all year round average temperature of around 25 degrees Celsius the island is popular with winter visitors from northern Europe. But Cyprus has more to offer than warm weather and beautiful beaches. There are no end of challenging unpaved trails in the mountainous regions of the lowlands. From a base at the north-western side of the island we make diverse daytrips in all directions. We bike past deserted beaches over rugged mountain ridges and through densely covered pine forests. Of course we will also try and catch a bit of Turkish Cyprus. 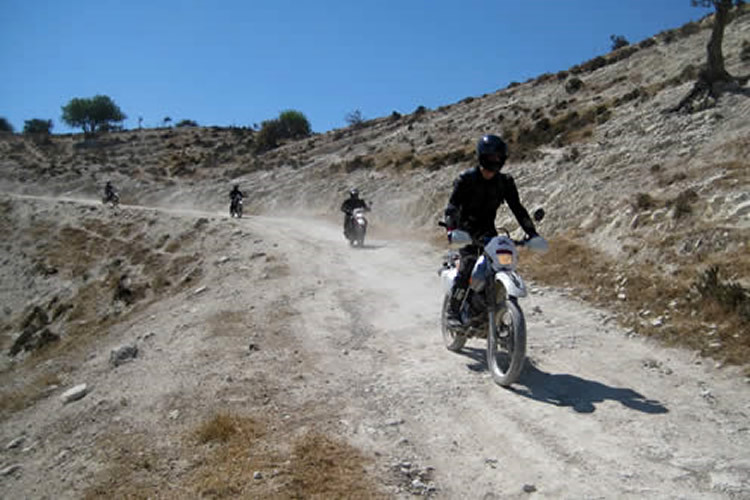 This is a varied off-road bike tour will suit beginners as well as the more advanced rider. The tour guide knows the off-road tracks like the back of his hand and adapts the route according to the level of the group’s capabilities.